We’ve released a few sets of paper textures recently (brown paper textures, grunge paper textures) and today we’re continuing that series with this set of 8 bleached paper textures. 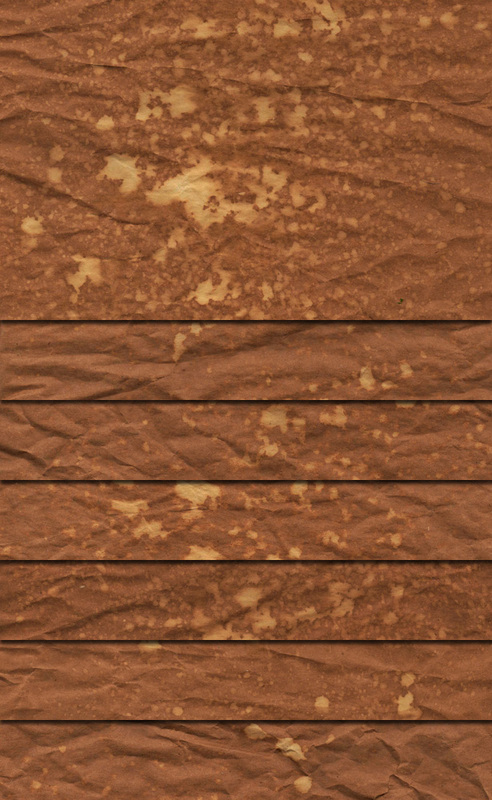 These textures were created by simply spraying some bleach on wrinkled brown paper, and scanning. They’re perfect for those times when you want something a little different than a standard brown paper texture. These textures are free for use on personal and commercial projects, no credit or attribution is required. They cannot be re-distributed or sold at other websites.